About your Job: Aircraft Mechanic for Heavy Maintenance will be responsible for all aviation maintenance in accordance with Federal Aviation Regulations and QR standards and procedures to the highest shop practices and in the interest of safety of flight. You will provide operational results as set by the unit to ensure performance targets are met in relation productivity. • Conducts tests and inspections of products, services or processes to evaluate quality or performance . • Adjust, aligns and calibrates aircraft systems, using hand tools, gauges and test equipment. • Examines and inspects engines or other components for cracks, breaks or leaks. • Dissembles and inspects parts for wear, warping or other defects . • Assembles and Installs electrical, plumbing mechanical, hydraulic and structural components and accessories using hand tools and power tools. • Services, cleaning screens, greasing screens, greasing moving parts and checking brakes. • Repairs, replaces and rebuilds aircraft structures, functional components and parts such as wings and fuselage, rigging and hydraulic units. • Tests engine and system operations, using testing equipment and listens to engine sounds to detect and diagnose malfunctions. • Removes engine from aircraft on installs engine using hoist or forklift truck . • Modifies aircraft structures, space vehicles, systems or components following drawings, engineering orders and technical publications. • Reads and interprets aircraft maintenance manuals and specifications to determine feasibility and method of repairing or replacing mallunctioning or damaged components. • Implement technical solutions for various technical problems related to technical line maintenance. • Establish the department or teams objectives and priorities to align with and support business objectives . • Regularly evaluate the department or teams objectives, plans,procedures and practices, and makes appropriate chanqes if needed. • Oversee and supervise employees. Direct daily activities, recruit, train, develop and discipline to ensure high standard of service delivery. 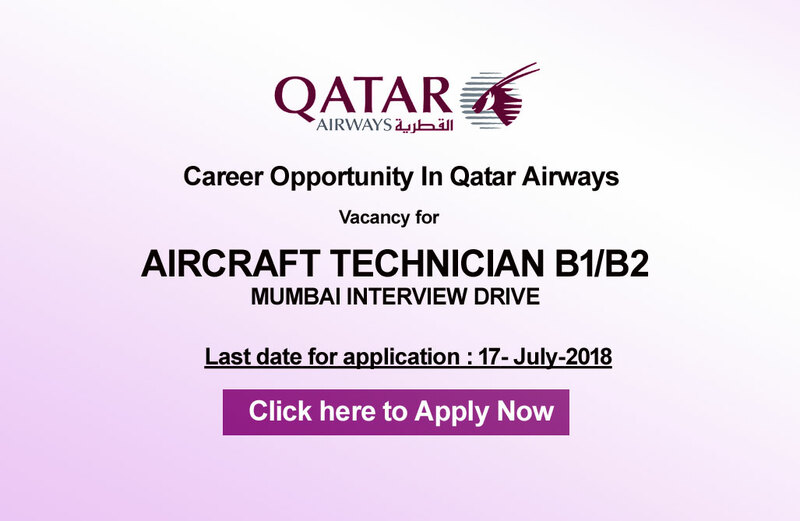 You hold a Diploma or Associate Degree or equivalent from a recognised aeronautical or technical college with 5 years experience excluding OJT as an Aircraft Technician or a Mechanic in the following trades, B1, B2 or Cabin in the Heavy Maintenance (C-Checks). Experience in the following aircraft would be an advantage, A320 Family, B777, B787, A330, A380, A350, etc.